IT is enjoying a new role as the hero of enterprise communications. Thanks to UC, IT departments are delivering freedom and empowerment to employees and productivity and cost-savings for the enterprise. 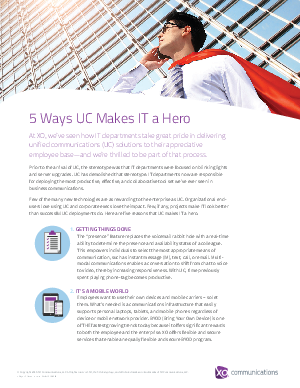 Read this paper to find out how UC will elevate IT to superhero status in your organization.